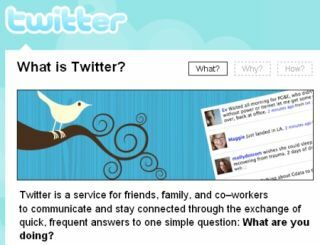 Twitter has announced that it has acquired the developer of Tweetie – one of the leading third-party apps for the popular microblogging service. Twitter announced earlier this month that it has acquired Atebits, maker of Tweetie, following the huge take-up of Tweetie on Apple's iPhone over the last two years. According to a post on the Twitter blog, the app will soon be renamed Twitter for iPhone and will also now be free. Atebits developer Loren Brichter confirmed on his own blog that he is joining Twitter's mobile team and will be developing Tweetie for the iPad. Commenting on the acquisition, Hunch Co-founder Chris Dixon noted: "Wow, weird coincidence! a Twitter board member blogged about killing twitter apps the same week Twitter released/bought 2 clients!" The real question now is, what does the future hold for third-party Twitter apps such as Tweetdeck, Twitterific and Echofon? Only time will tell.